Hey ya'll, guess what I've been doing? Besides using the word 'ya'll' on my blog even though I have no accent whatsoever and never say that word in real life. And besides wrangling four wiley, grumbly, hot, sweaty and irritable little boys to take them exciting places like Walmart and Costco. And besides getting ready for my first-ever garage sale where people are going to come and look through my stuff while I sit there and watch them, because that won't be awkward at all. I've been pretending to be a blog designer! But when my friend Andrea from Piebirds, Buttons & Muddy Puddles asked me if I would be interested in spicing up her blog a bit, I decided to go for it and see what happens. What happened was I almost fried my brain. Designing for other people is kind of scary! BUT, I got it all done and her blog turned out pretty cute. Andrea's blog rocks. 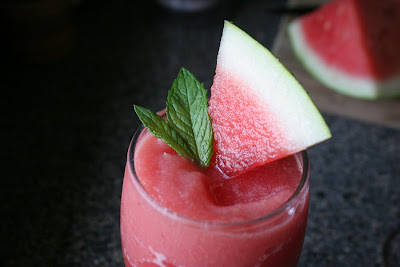 She features tons of fantastic recipes, such as these yummalicious watermelon frosties, for which I have watermelon freezing right at this moment so we can make them later this afternoon. I can hardly wait. She also has lots of fun crafts, sewing projects and kid activities. You could spend a LOT of time on her blog and not see it all. 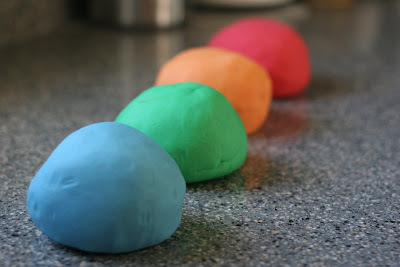 AND, she's hosting her first giveaway~ a $20 gift certificate for King Arthur Flour products. You did an amazing job as a blog designer. Maybe you should add BD after your name? Or maybe not. It could be mis-interpreted as Bad Dog and not Blog Designer. ha! i JUST sent you an email with a 'y'all'! maybe i'm rubbing off my ever so slightly former southern self on ya virtually. ;) can't wait to see what you did with the design - looks like a fun blog to work with!